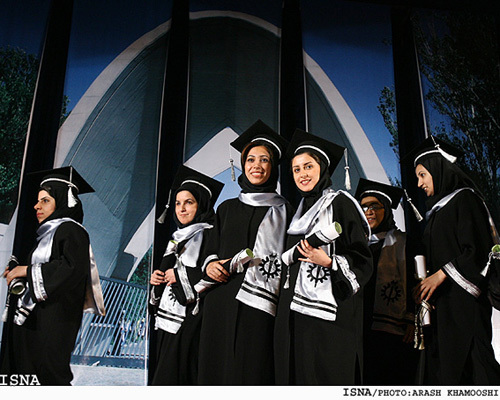 Muslim university graduates. Is the opportunity for marriage passing them by? Afaf*, 25, has been searching for a husband for a solid two years to no avail. Afaf started feeling the pressure as her friends talked endlessly about wedding dresses, halal caterers and honeymoons, even though she had not been planning on getting married while in college. Afaf, now a first-year law student, is one of thousands of American Muslim women between the ages of 25 and 30 struggling to find a decent suitor. Educated, pious, beautiful and accomplished, these women should have a gaggle of like-minded men waiting outside their doors. Unfortunately, the few, if any, men who approach these women appear less than satisfactory. The lack of noteworthy male suitors is a topic frequently discussed between female friends. Muslim women are frustrated with the options left, and many are worried that their degrees and careers are getting in the way of meeting Mr. Right. “I recently had a suitor who told me he would be willing to help me [around the house] by not making a mess,” Afaf recalls, adding he also told her she should not use her job as an excuse to ask him to help out at home. “Furthermore, if he comes home from work hungry, I guess that would mean I would have to work part-time in order to have dinner prepared and ready when he comes home. I think that is the most frustrating aspect of being a female, only to be seen as a maid and a cook,” she says. The marriage crisis materializes when these women in their late 20s and early 30s become settled in their careers or studies and seem like less desirable options to men because they will not bend into this traditional role. While these women work on their personal goals, young Muslim men appear to give up on them and marry from “back home” or marry non-Muslims, making the pool of suitors even smaller. Indeed, a startling number of young Muslim women are finding themselves scrambling to find a husband before reaching their 30s and possibly never marrying. Many accomplished and educated young women end up lowering their standards for the sake of avoiding lifelong loneliness. “Unless this crisis is addressed seriously, honestly and scientifically, it will lead to the disintegration of our community through a dilution of the next generation Islamically, a sudden revolt against marriage by women or a decrease in self-esteem among wives who lowered their standards just to marry,” Hathout warns. These young, pious men begin looking for a wife, Quest reasons, who is closest to their age, basically, 19 to 21 years old. “And what are these ‘good, smart ambitious girls’ doing when they’re in that age range?” Quest writes. “They’re also busy working on their education” and aren’t considering marriage. Or those who are considering marriage may be in a different location, so the two never meet, and the bachelors get fed up and marry from back home, he says. Essentially, Quest emphasizes that the lack of a meeting forum is at the heart of the issue. With the current circumstances at hand, Ezzeldine advises young women to plan realistically. Quest echoes this sentiment by clarifying that women shouldn’t have to give up their goals, but should realize that in doing so, they are taking a risk. “The longer they delay marriage in favor of education, the less [number of ] eligible men they’ll meet once they’re ready for marriage,” he says. “And marriage and education are not necessarily conflicting. With the right husband, both can continue. It’s definitely a topic that should be brought up when considering a potential husband,” he adds. Dr. Hathout also favors a path that allows for both education and marriage to flourish simultaneously. “We need to change the current family model into one that builds the self, the family, and each other at the same time,” he says. “Think of marriage as a tennis match you want to play doubles, not singles, to win. In other words, struggle together and build your empire together. You are ready for marriage as long as you can get food on the table and a roof over your head, and there’s a potentiality for growth,” he stresses. Ezzeldine draws on the life of the Prophet Muhammad for guidance, specifically the example of his relationship with Khadijah. Ezzeldine goes on to remind Muslims that Prophet Muhammad and Khadijah were married for 28 years, the longest of all his marriages. Afaf has not given up searching for Mr. Right, but meanwhile uses school as a welcome distraction. What do you think? Are you a Muslim woman who has had trouble finding a good man? Are you a man who has chosen a “traditional” woman over a career woman?